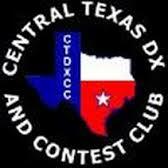 Generous Matching Fund Grant from the Central Texas DX and Contest Club! We are very pleased and thankful for a generous matching fund grant made by the Central Texas DX and Contest Club of $1000 x 2 = $2000 on behalf of Don Schliesser, K6RV. ← Generous Matching Fund Grant from the Danish DX Group!